Liesl + Co. and Oliver + S both carry some fantastic button-front shirt patterns. They include the Classic Shirt, Recital Shirt, All Day Shirt, Buttoned-Up Button-Down Shirt, and Sketchbook Shirt. Any of these would flow seamlessly into any wardrobe. Of course you don’t have to always sew one up as it’s shown on the pattern envelope. To mix things up and get your creative juices flowing, we’ve gathered some ideas for you. Let me introduce you to nine button shirt tutorials that have appeared on the blog in the past. You’re sure to find some inspiration here today! Ever wanted to sew the Liesl + Co. Classic Shirt as a pop-over instead of button-front style? Now you can with this free popover placket pattern piece and tutorial. Liesl shows you how you can turn the Liesl + Co. Classic Shirt pattern into a classic shirt dress. It’s easier than you think, and it greatly expands the number of things you can do with this pattern. Here’s an easy tutorial that will show you how to add a fun bartack detail to your shirts using your sewing machine. Liesl shows you how to create and sew a shirt gusset. Download the free shirt gusset pattern piece and use this tutorial to strengthen and add a pop of color or a print to the side of your shirt. Have you ever found when you are sewing for yourself that a sleeve is a little too tight for your arm or for your fit preference? If so, this is a tutorial for you. 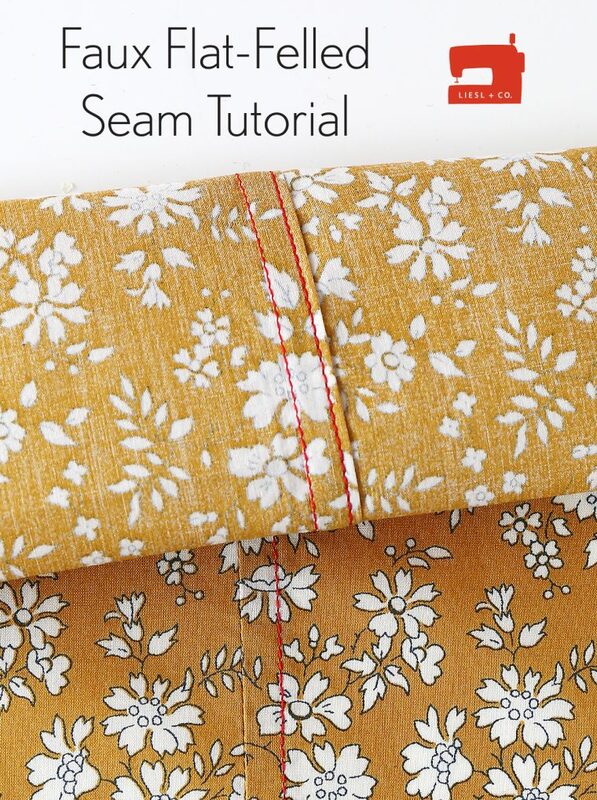 Liesl demonstrates how to alter the sleeve pattern piece to add some extra room or to make it narrower. Here is a tutorial on how to turn a long sleeve shirt into short sleeves. Here is a tutorial on how to add ruffles to a button shirt. Our blog series, Outdoor Ready, is all about using performance fabrics to make handmade outdoor apparel. This tutorial features hiking shirts sewn from the Oliver + S Sketchbook Shirt sewing pattern.